In the living room of our farmhouse is a large fireplace. Nothing else can provide such warmth and comfort on a chilly morning or a cold winter's evening. And the best afternoon (in my opinion, at least) is sitting next to the fireplace with a good book and a warm kitty on one's lap. 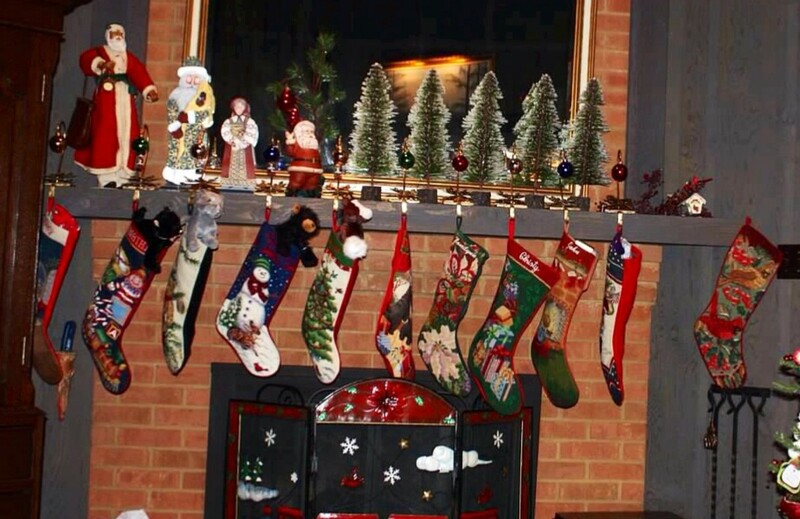 At Christmastime, we hang our "beautifully decorated" (of course) stockings on the mantel, one for each person in the household (including said kitty). It's tradition, but why? 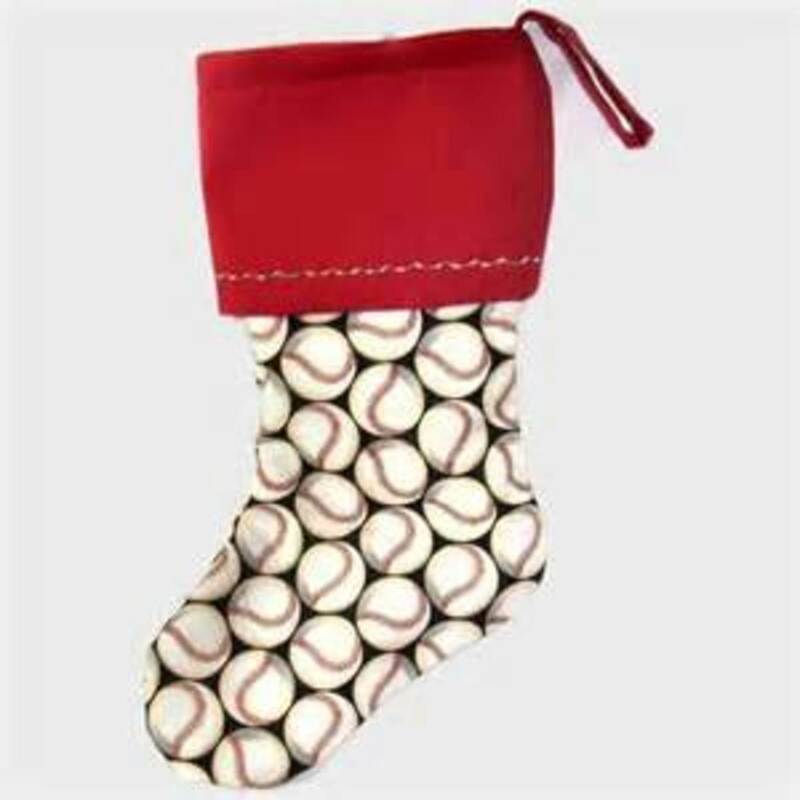 But when and where did the act of hanging those stockings "on the chimney with care" originate? The most trustworthy legend maintains that Saint Nicolas learned about a poor man who couldn’t afford to pay a dowry for his three daughters, and he was worried about them. 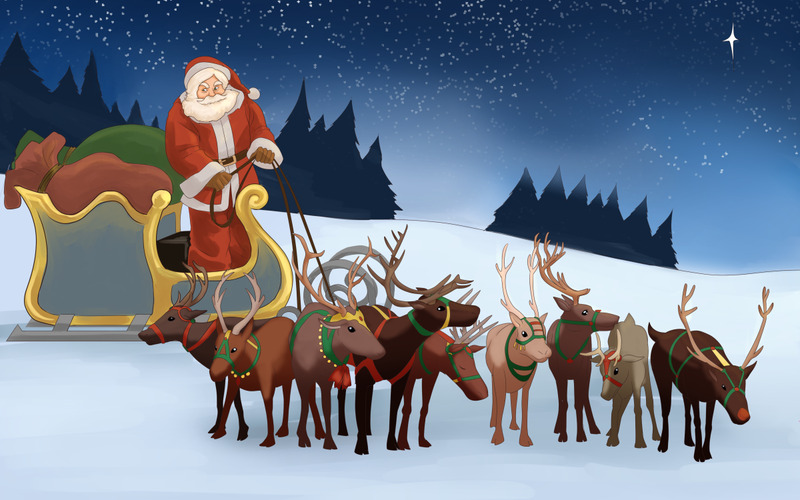 Saint Nicolas decided to help the man, and he took three bags of gold with him down the chimney of the man’s home. Once inside, he found the girls’ stockings hanging on the mantelpiece after washing, and he added the gold bags to the stockings and then went about his Christmas Eve rounds. 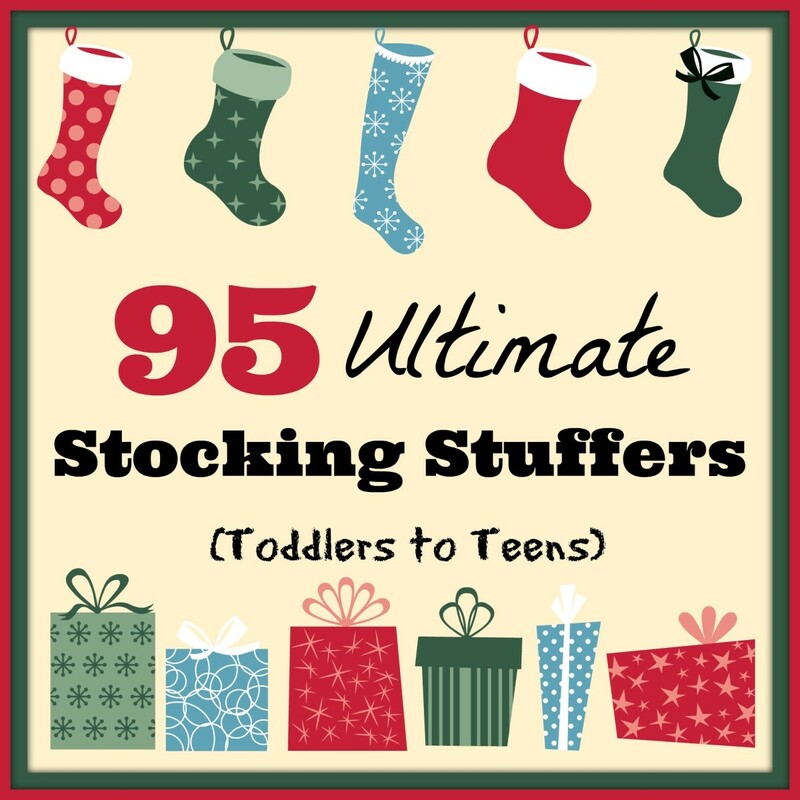 As the story spread, children began hanging their own stockings or putting out shoes, waiting for their own gifts. 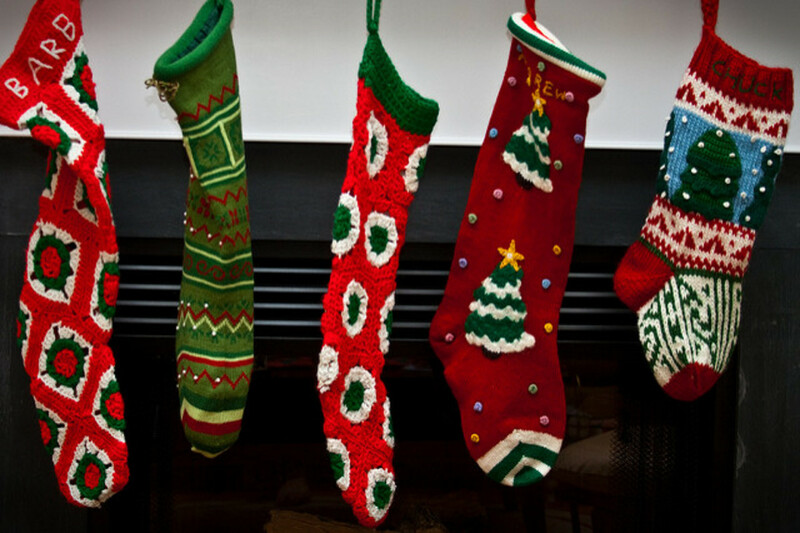 Usually, they used their own socks, but later, specially decorated stockings were created for the holiday. I happen to love that story, and so I'm sticking to it. Now that we acknowledge that we'll continue the legend today, what are we to put in those socks? Of course, you can purchase little trinkets and treasures, spending as much or as little as you wish. But have you ever thought of leaving hand-made gifts in those Christmas socks? There's something here for the skill level of every giver, and for the enjoyment of every happy recipient. I think even the most artistically-challenged of us (that includes me) could pull off this one from ABubblyLife. 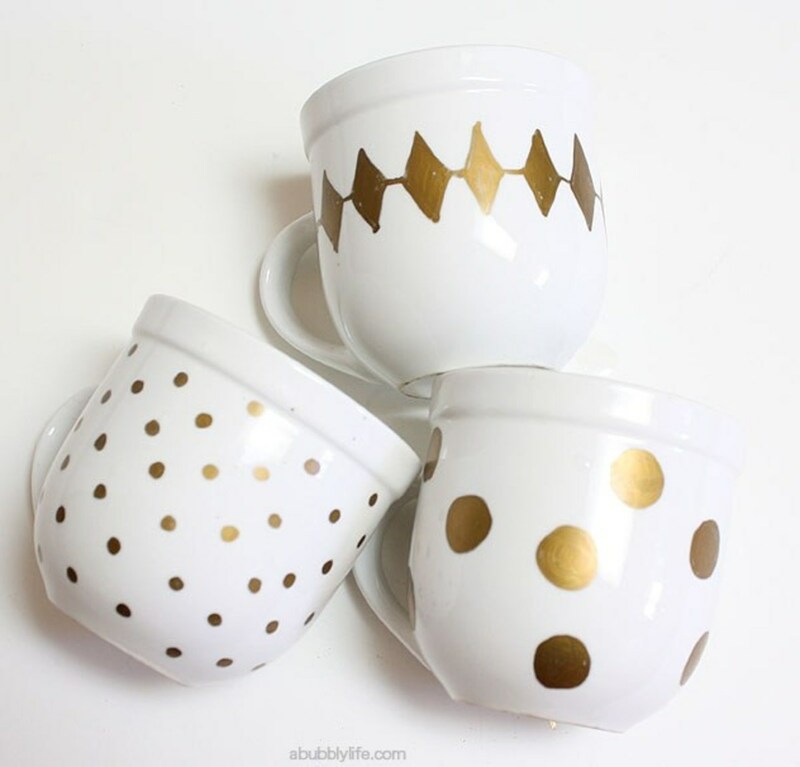 White mugs, Sharpie pens in the color of your choice (pay attention to what kind the artist is using, however), and create a one-of-a-kind coffee (or tea) mug for that special someone in your life. Do you know anyone who DOESN'T have a computer? I can't think of a soul. Even my 90-year old brother is connected. 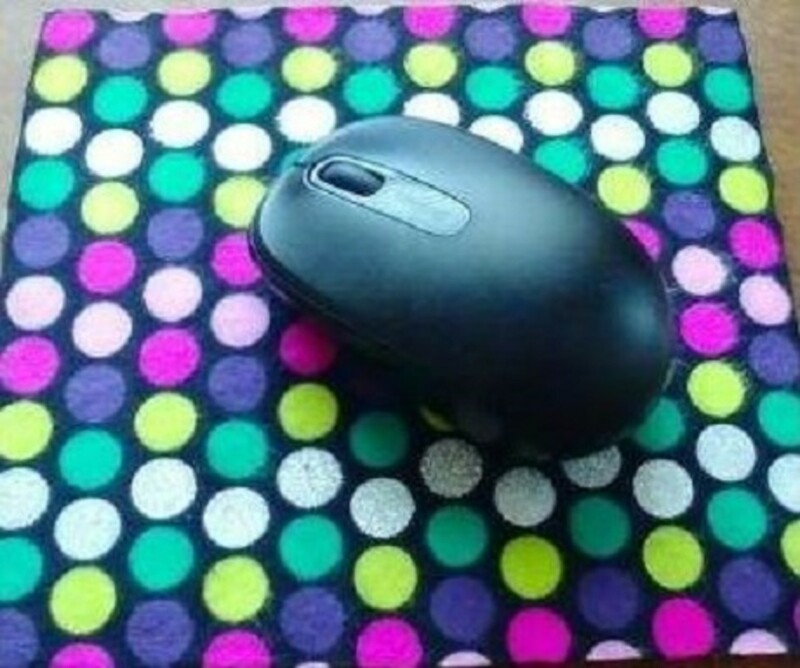 And if you have a computer you need a mousepad. This one from HomeTalk is so easy even I could do it. 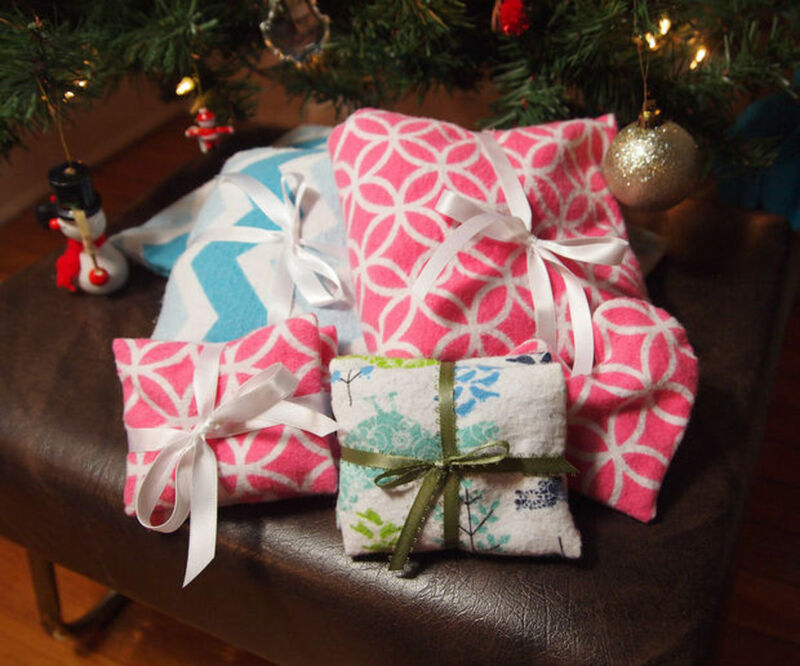 With some rice, 100 percent cotton fabric, thread, and beginner skills in sewing you can create these heating pads (which can also be popped into the freezer). Check out the website Instructables for even more craftsy ideas. FroggingAlong has some cute gift ideas. 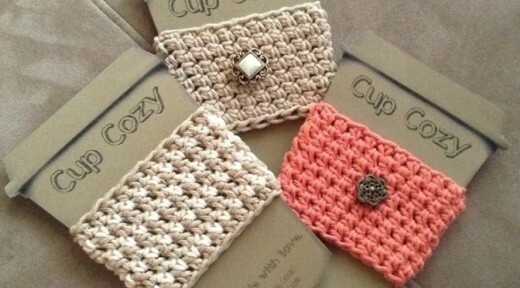 This one requires a wee bit of skill; if you can manage a chain stitch and half-double crochet, you can make these take-out coffee cup cozies in whatever color(s) you choose; perhaps the team or school colors. SaraHearts has so many great recipes, videos and crafts projects. 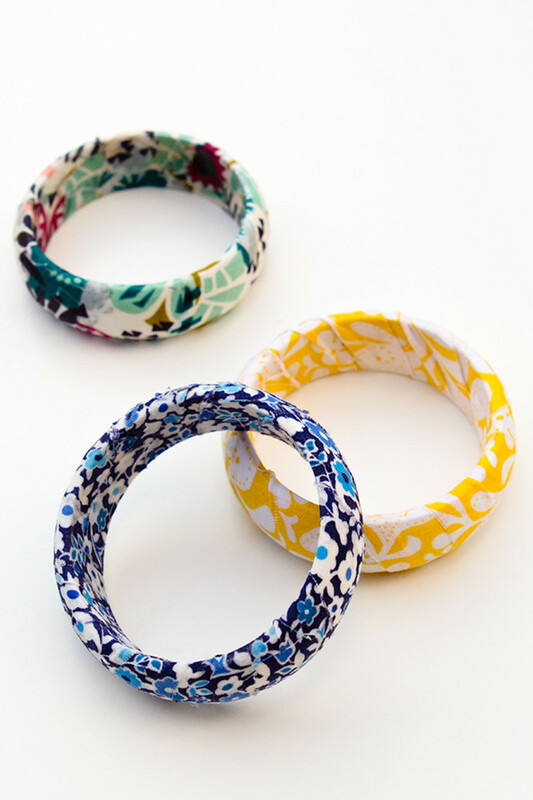 That's where I found this idea for fabric-covered bracelets. What a great way to use up your scraps. 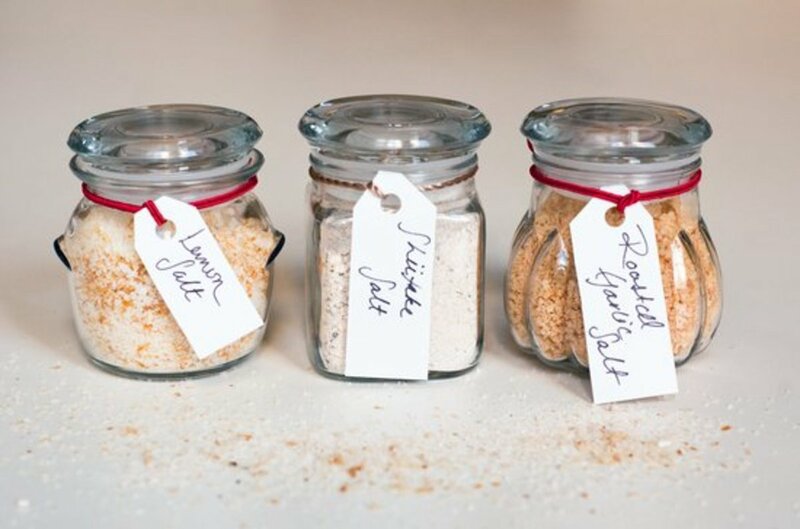 Flavored salts—they're in the gourmet food shops and boutiques, and they cost a small fortune. You can make your own for just pennies. Don't you know someone who loves to cook? They want these, trust me. The blog PopSugar will show you how to make them. Debbie creates OneLittleProject at a time and makes cute ornaments that can be hung outside to decorate your living trees and feed the wild birds too. TGG (The Garden Glove) is a wonderful website for gardening ideas, and they remind us that in the winter we can bring our garden indoors. 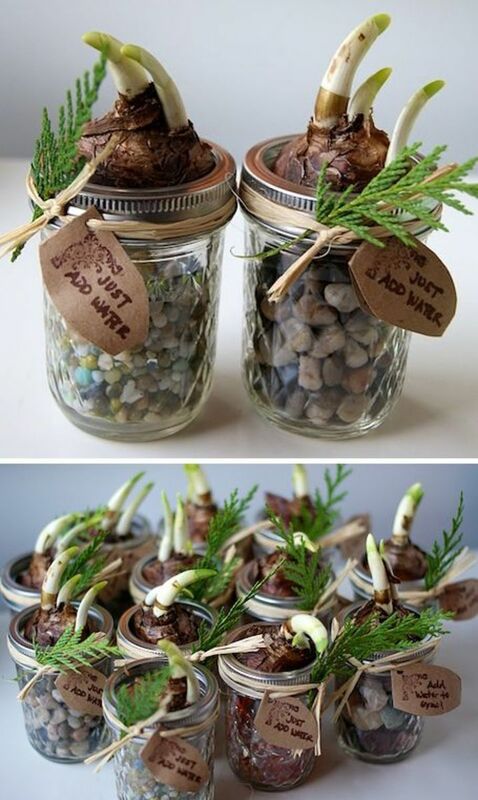 These paperwhite bulbs in Mason jars would make a great gift for the garden-lover on your Christmas list. The 3LittleGreenwoods is my go-to blog for DIY projects. 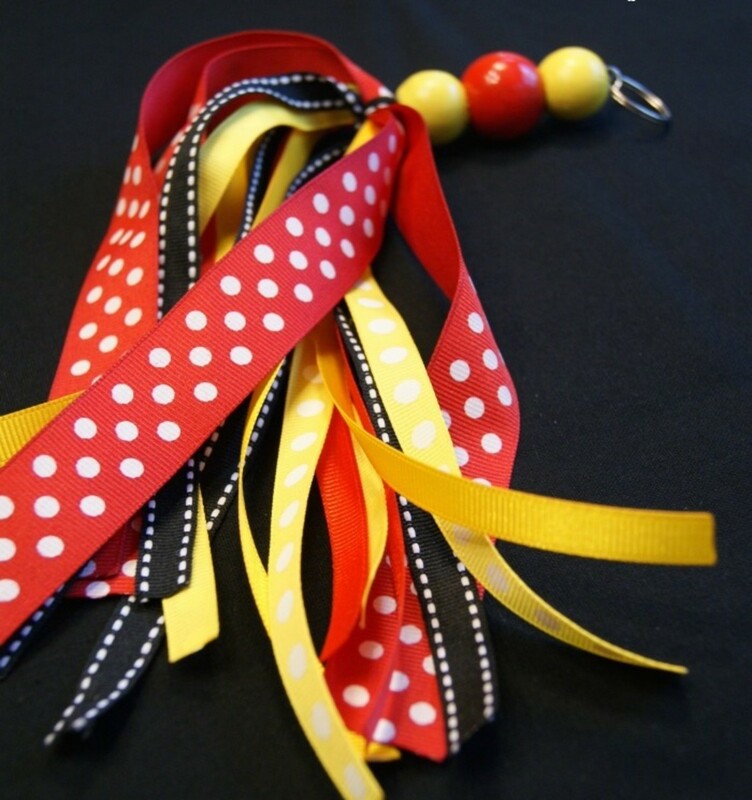 They made this Disney-themed keychain with ribbons and wooden beads. But, you're not limited to Disney. Use your imagination and you can make a keychain in the colors of your favorite team, to match your car, match your house, or in school colors. 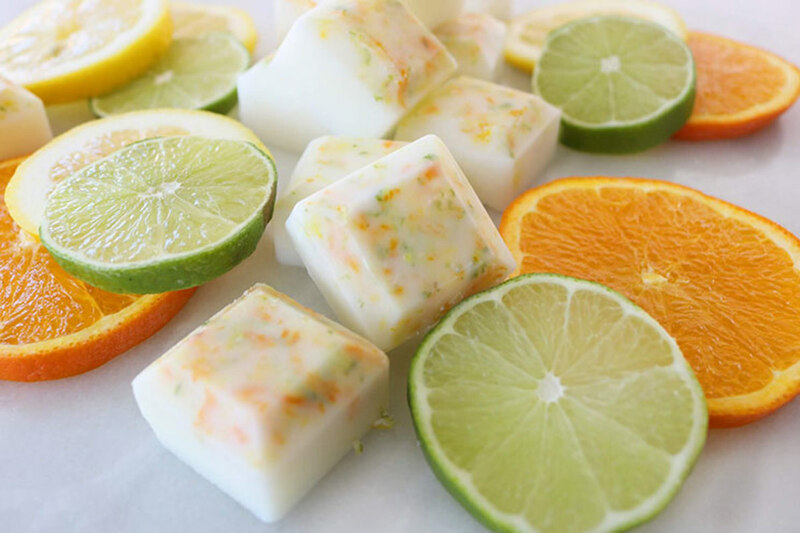 These coconut oil bath melts are easy to make with products you can easily obtain at the grocery store. 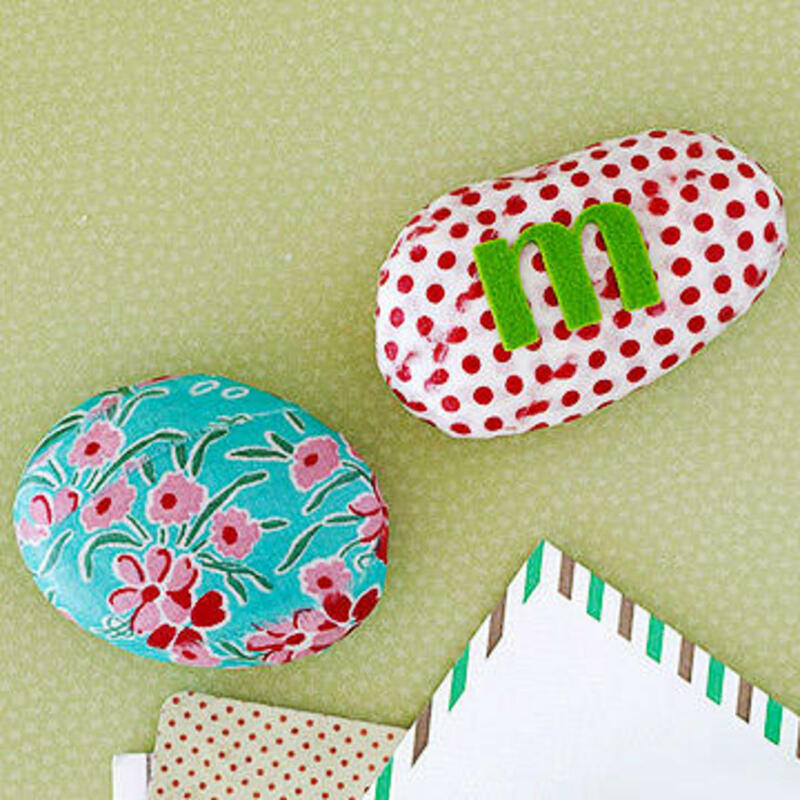 Smooth rocks from your garden, fabric scraps and a dab of glue are all your little ones need to make a special gift for a parent, grandparent, or other special people in their lives. 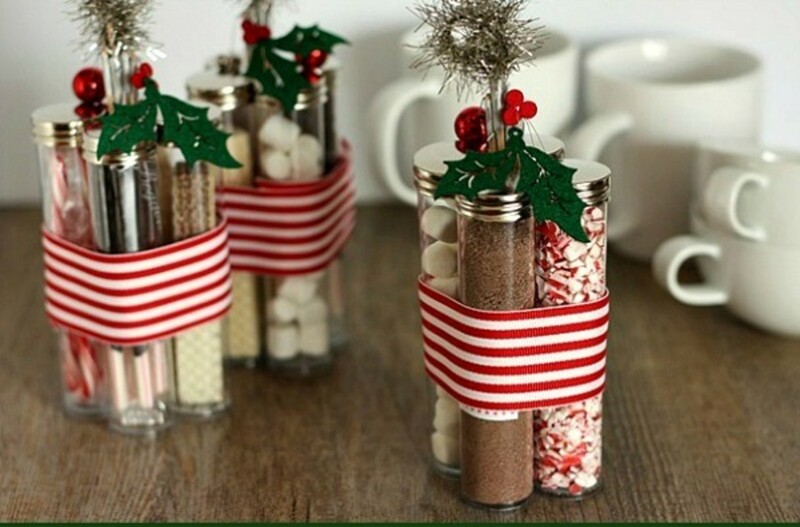 Crafts, recipes, and life hacks are what you'll find at ALittleCraftInYourDay, and that's where I found this idea for assembling hot cocoa kits. Thank you Lawrence. My husband and I don't exchange gifts anymore (we're trying to get RID of stuff, not add to it) and our children are adults so their "gifts" from us are usually things like a promise to help with a major home repair project or going to a sporting event together. I still buy "little" things, but I get them throughout the year so our budget never really takes a hit in December. Thanks for stopping by. 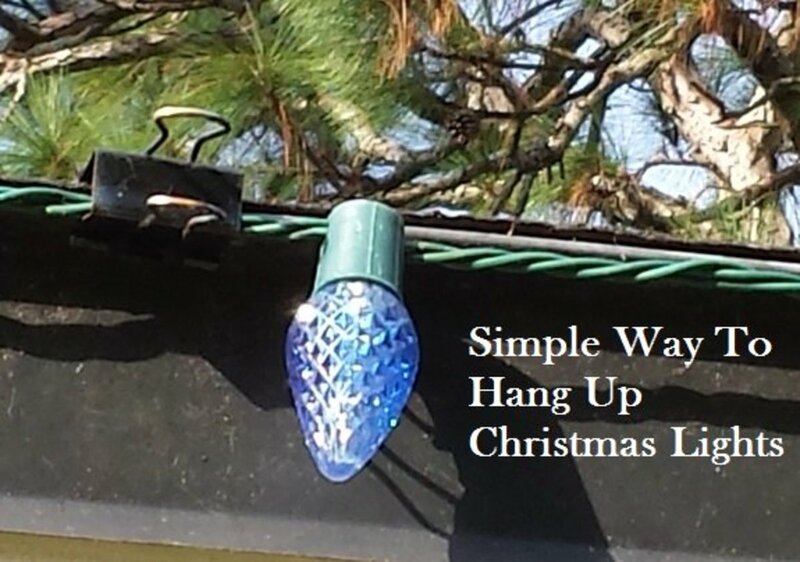 We always set a budget for Christmas, we did this year too, and we tend to stick to it, but some of the 'stocking stuffers' can be pretty creative! These were some great ideas. Flourish, that sounds like a wonderful idea. I was hoping that there would be something here for everybody. I especially love the nature-inspired treats but will definitely be making some of these as teacher gifts, connected to a nice gift card and thank you note. Kari, I know. I think that one is my favorite as well. Although depending on where one lives it might be difficult to find a smooth, flat rock. I'm within walking distance of a beach, so easy enough for me. Mary, I agree. As one who does a fair amount of "crafty" things, I recognize how much time (and patience) is required. Anything hand made is always a gift of love. Thank you Nell. Perhaps now you can make your own. Such clever ideas. It looks like you have everyone covered. I love getting something which has had some thought put into it instead of a massively produced article. Great ideas! 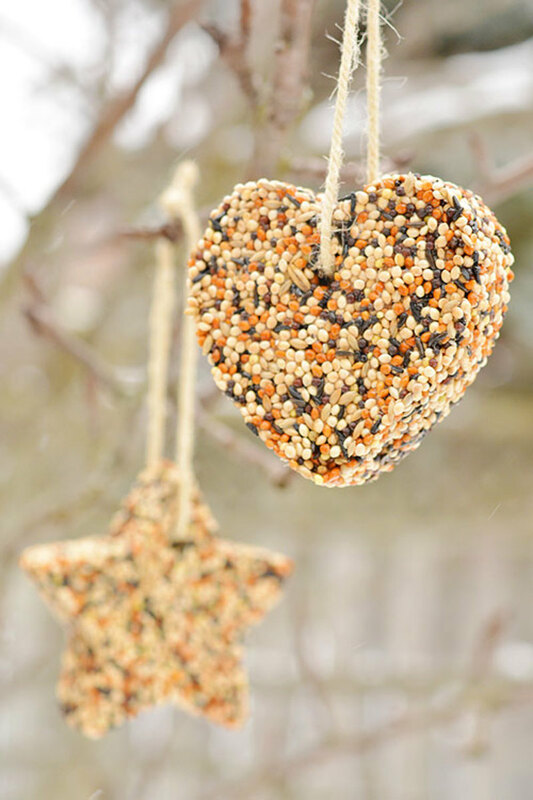 I do tend to buy those bird seed shapes, whatever the time of year! lol! and of course add lots of water etc on my balcony! I love nick nacks so this great! Oh yes, but he IS still just a baby. In time he will settle down. I'm glad you enjoyed this one. Stay safe today my friend. The weather gurus say this is going to be one nasty storm.